No matter how high-tech a megayacht&apos;s systems are, and no matter how cleanly laid out the wheelhouse&apos;s displays are, what people tend to remember the most when they step off a megayacht is the interior decor. 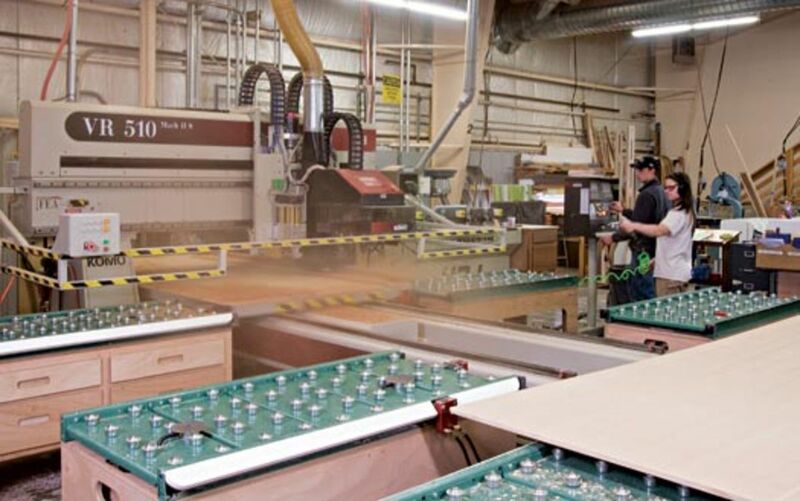 The CNC router not only makes clean, precise cuts, it also determines the most efficient way to lay out components, on a board, minimizing waste. It even collects the leftover sawdust. But a yacht&apos;s decor doesn&apos;t just magically come together when you and/or your spouse select color schemes. In fact, when it comes to the wood paneling in particular, hundreds of man-hours are invested before you ever lay eyes on the first perfectly grain-matched bulkhead. 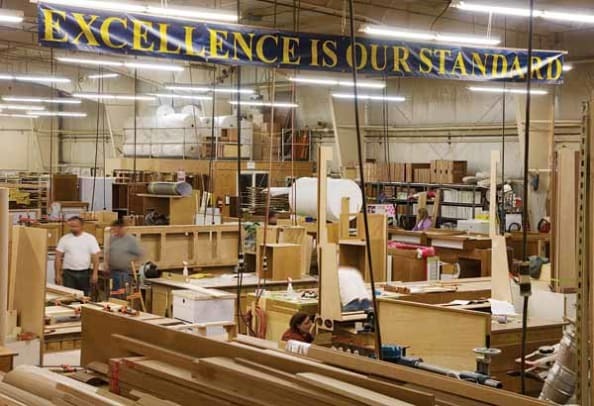 It starts with the person charged with selecting the wood—essentially raw logs that, after they arrive at the shipyard, will be sawn, sanded, and sprayed over subsequent weeks, until they&apos;ve become the cabinets and consoles we all admire. 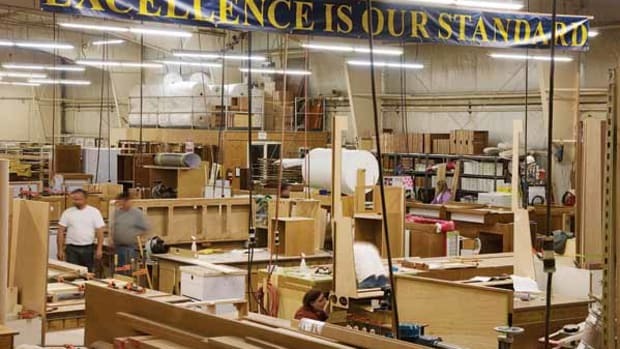 To give you a better understanding of what&apos;s involved in this transformation, we followed the progress of several slabs of wood at Westport Shipyard&apos;s 60,000-square-foot carpentry and cabinet shop. 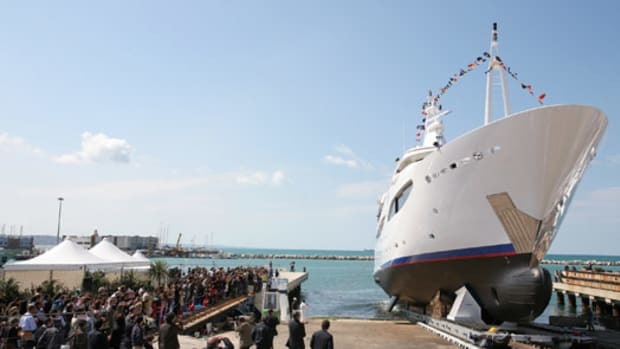 The 240 employees there design and assemble every stateroom entertainment console, curving staircase wall, and polished pilothouse wheel aboard the yard&apos;s 112-, 130-, and 164-foot semicustom models. 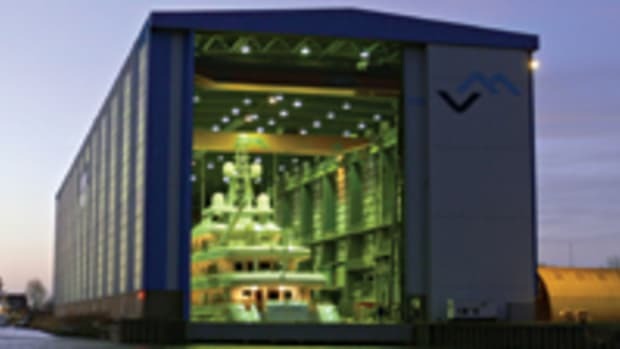 In terms of labor, it takes thousands to tens of thousands of man-hours to produce an interior for each of the yachts. The photos here take you through the paneling process. So next time you board one of these beauties, pay special attention to the woodwork. It&apos;s the art of the craft. For more information on Westport Yacht Sales, including contact information, click here.